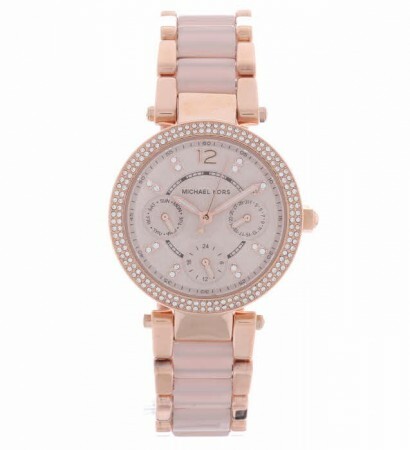 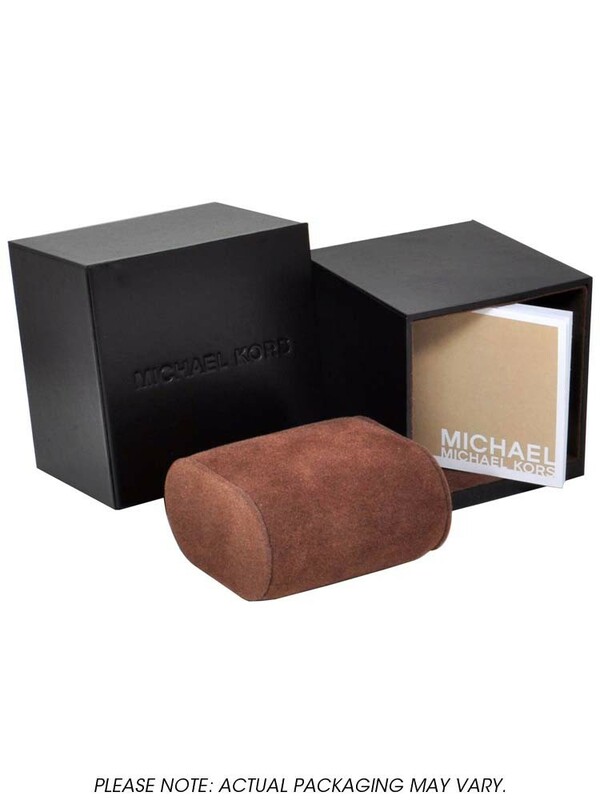 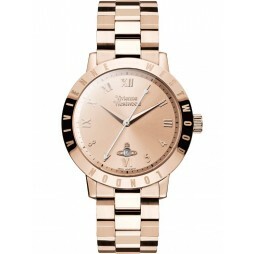 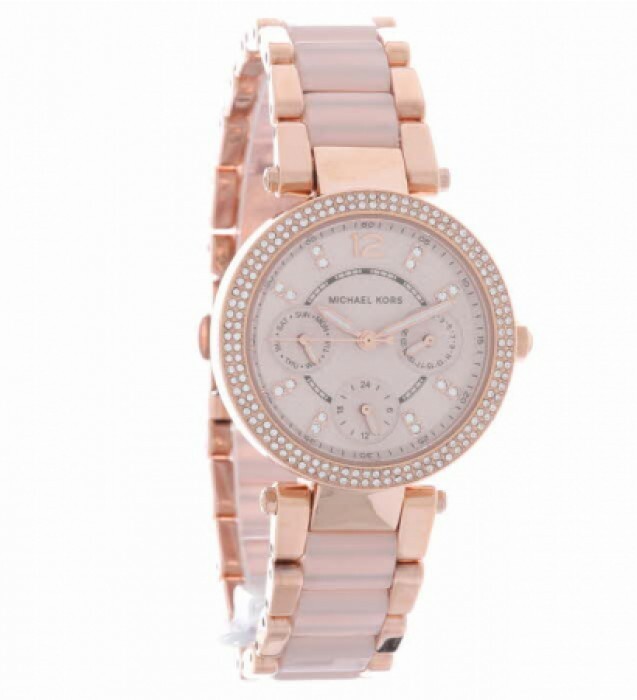 A gorgeous Michael Kors watch crafted with a stylish rose gold plated stainless steel bracelet. 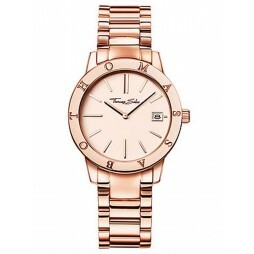 The rose gold tone dial is surrounded by a shimmering stone set bezel with matching rose gold tone accents featuring sub-dials for the date and 24hour time. 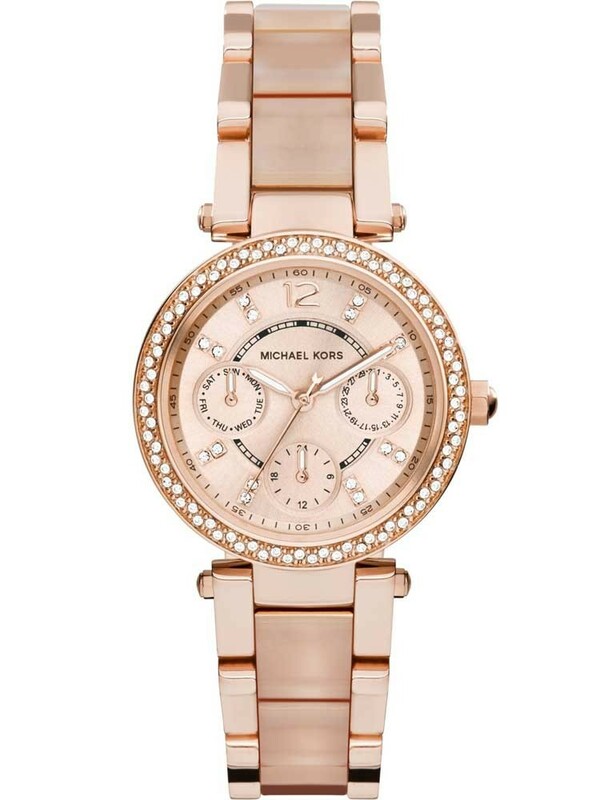 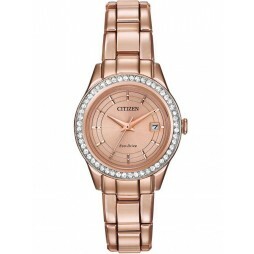 An elegant watch perfect for adding a touch of sparkle to any outfit.